How do I buy a Little Medical School Franchise? You can own and operate your own Little Medical School franchise for a total investment of $37,600 - $42,600. No medical or teaching or business ownership experience is required. The Little Medical School franchise team will provide you with the curriculum and all the necessary training and tools to operate your business. However, you must feel comfortable promoting and building relationships in your community. Become a Little Medical School Franchisee. 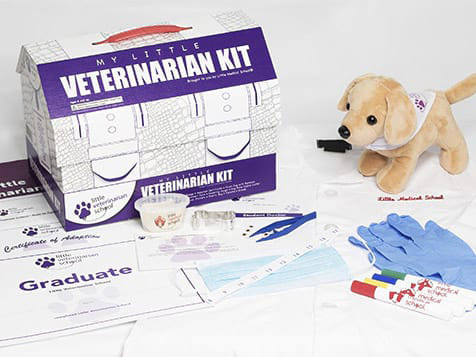 Little Medical School is a mobile business that brings medicine, science and the importance of health to children in a fun way. You can operate this entertaining business out of your home which keeps the overhead low while you grow a thriving, rewarding business. 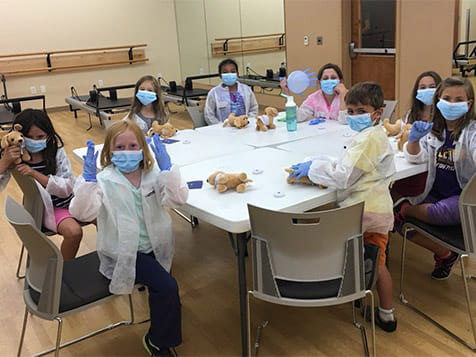 This unique blend of hands-on interactive after-school programs, summer camps, birthday parties, preschool activities, boy scout and special events, educates and entertains children in a fun, hands-on learning environment. You do not need to have a medical or teaching background or even experience owning and running a business. 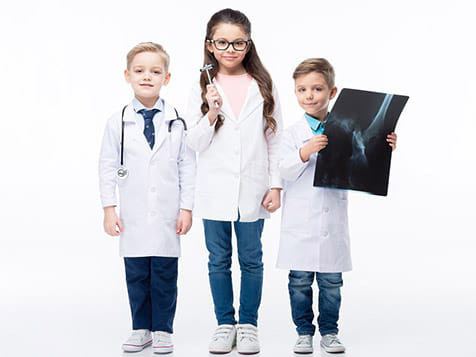 The Little Medical School franchise team will provide you with an incredible curriculum and all the necessary training and tools to operate your business. Learn more today. Open Little Medical School in any of these available states: AK, AL, AR, AZ, CA, CO, CT, DC, DE, FL, GA, IA, ID, IL, IN, KS, KY, LA, MA, MD, ME, MI, MN, MO, MS, MT, NC, ND, NE, NH, NJ, NM, NV, NY, OH, OK, OR, PA, RI, SC, SD, TN, TX, UT, VA, VT, WA, WI, WV, WY. No royalties for your first two months! 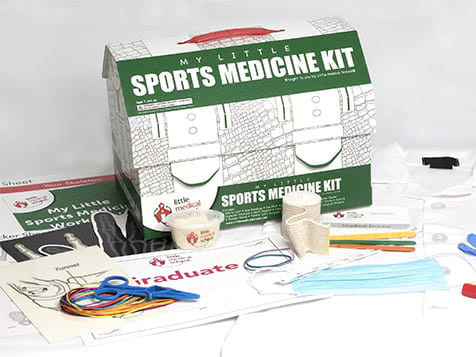 Little Medical School® launched in 2010. Dr. Genie’s Kids Foundation provides scholarships for Little Medical School programming to children in need. It also distributes free books and educational kits at community events. 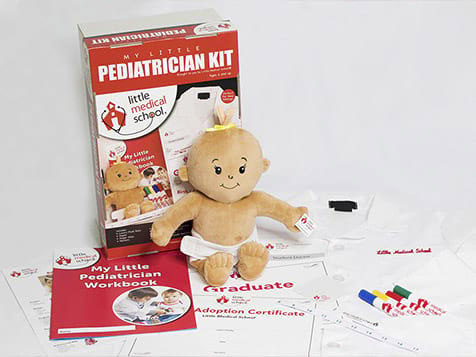 Little Medical School® franchisees are comfortable promoting and building relationships in their community. Franchisees speak with key decision makers such as principals, head of PTA’S and parents committees. They are the face of their business, educating and entertaining kids while shaping the doctors, nurses, veterinarians of tomorrow, today. Franchisees may also teach classes if they so choose. Many of our franchisees want the opportunity to experience the perpetual smile our programs provide to children of all ages. However, the franchisees that grow the largest businesses are those that hire part-time instructors to keep up with the huge demand in their market. This allows franchisees to promote the brand locally. Special Discount: Little Medical School offers 10% off the franchise fee for veterans. Is Owning a Little Medical School® for You? Anyone can own and operate a Little Medical School® business. Your positive attitude and strong work ethic along with our easy and proven business model are all that you need to get started. Contact us today by submitting an inquiry form! Little Medical School is not currently active in our directory, but here are some other recommended selections for you to explore.